Great eye care begins with regular eye exams. Call 503-648-8328 today! We now offer LipiFlow in-office to treat dry eye! Talk to our optometrists to learn how you can protect your macula and optimize your visual performance. Welcome to Baseline Vision Clinic in Hillsboro. Our optometrists and the Baseline Vision Clinic team strive to provide the best in optometry services. 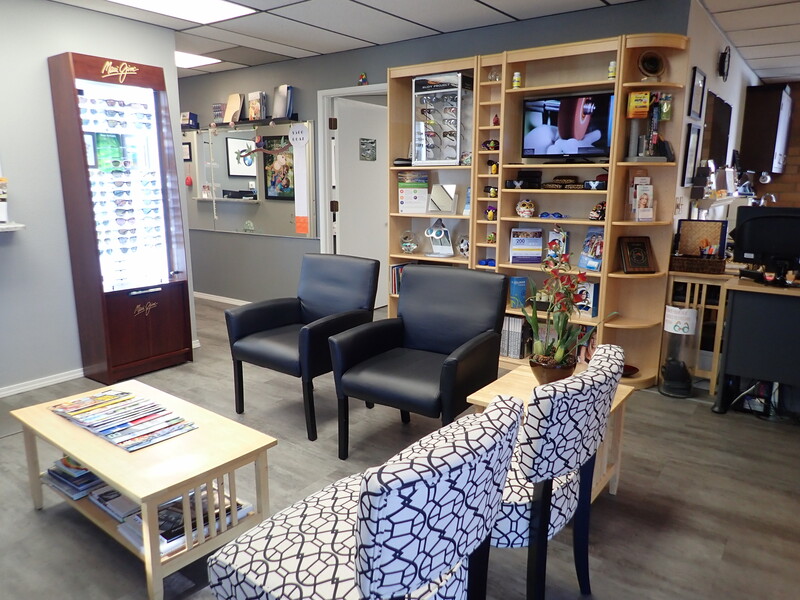 We invite you to browse our website to learn more about our optometry services and join our patient family by scheduling an eye exam appointment. Baseline Vision Clinic is a full service eye and vision care provider, accepting both eye emergencies as well as scheduled appointments. 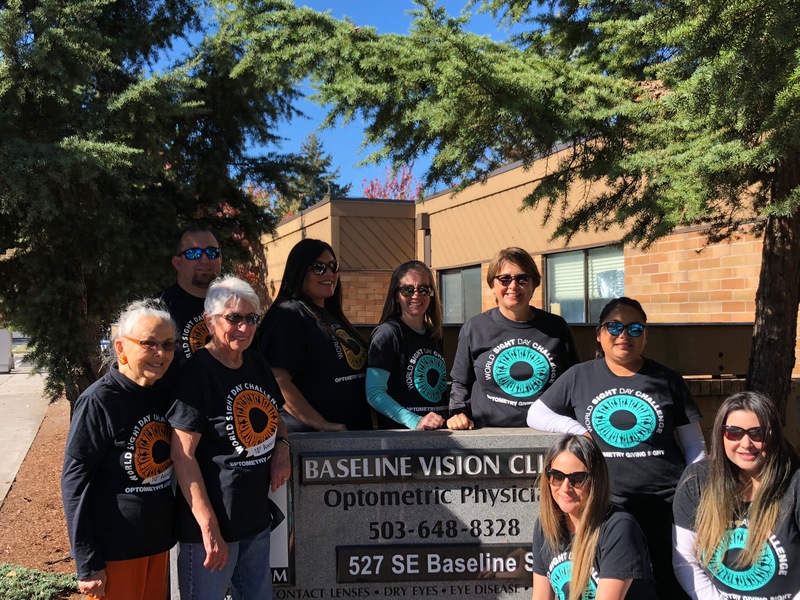 Patients throughout the area come to Baseline Vision Clinic because they know they will receive the personal attention and professional care that is our foundation. Our optometric physicians and our team are dedicated to keeping our patients comfortable and well-informed at all times. 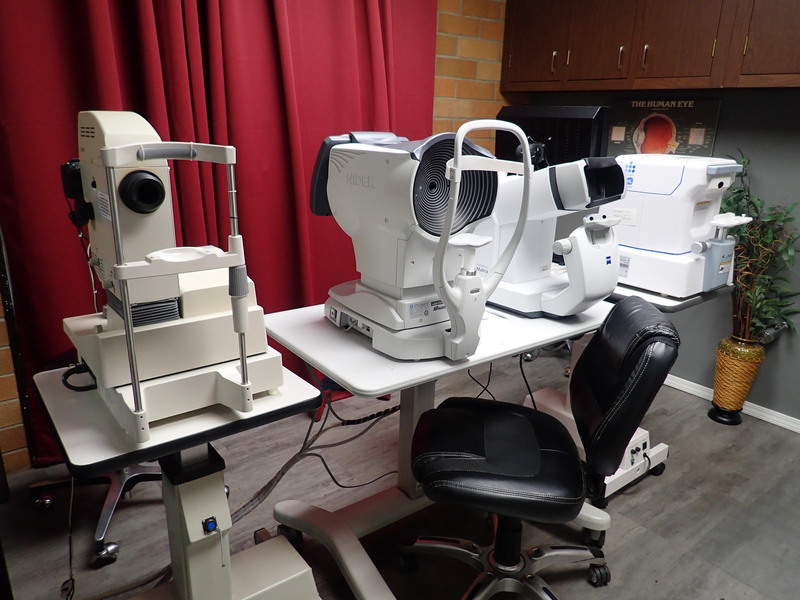 At Baseline Vision Clinic, we will explain every exam and procedure and answer all of our patients' questions. Additionally we offer vision financing options and will work with vision and medical insurance providers to ensure good eye health and vision care for all of our patients. 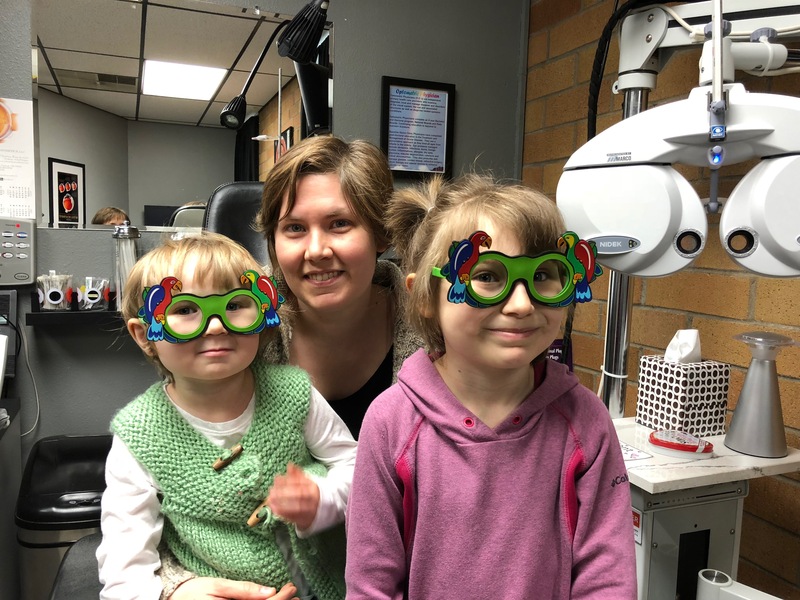 Our one-on-one approach to optometry makes our doctors and the Baseline Vision Clinic staff the eye and vision care providers of choice in the Hillsboro area. We offer the following services: complete eye exams, contact lenses, glasses, glaucoma testing and management, macular degeneration testing and management, and pre- and post-operative care. For a complete list of services, visit our services page or call our office at 503.648.8328. 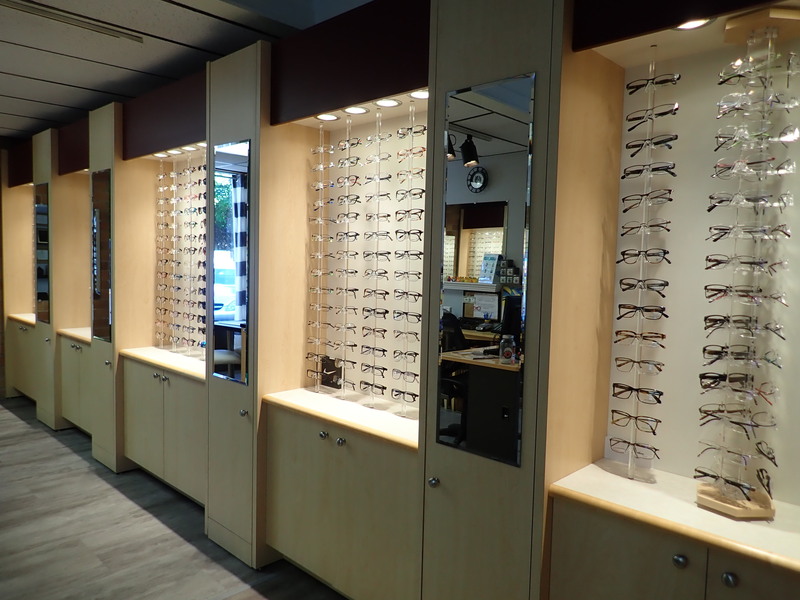 At Baseline Vision Clinic, we are dedicated to providing high-quality optometry services in a comfortable environment. Call us at 503.648.8328 or schedule an appointment today online. Dr Joan Ploem Miller moved to Hillsboro, Oregon when she was 5. She became interested in the field of Optometry at 14 when she first learned she was near sighted. She has dedicated her life to giving the local Hillsboro area patients the best eye care possible. 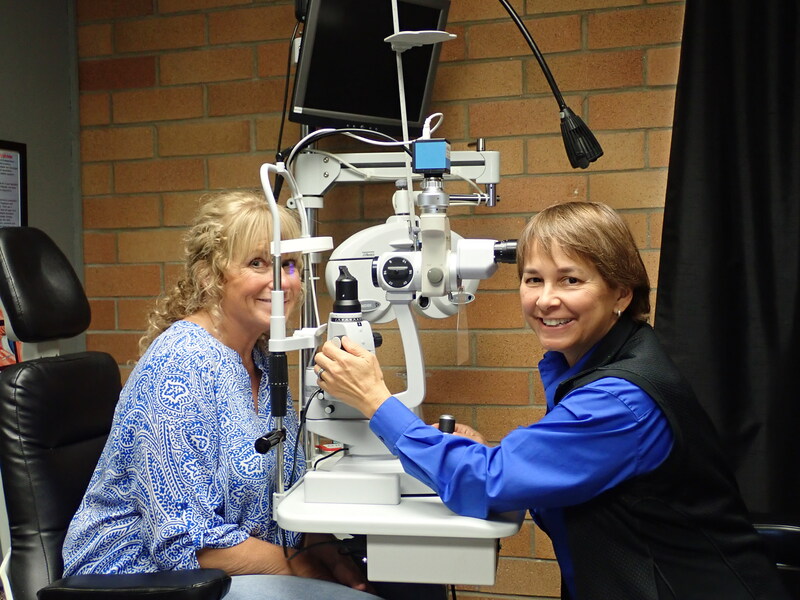 After receiving her bachelor’s degree in Visual Science, Dr Miller went on to complete her Optometry Doctorate with distinction at Pacific University College of Optometry in 1979. She was named Oregon Optometrist of the Year in 2002. Having seen patients for four decades and staying up-to-date with technology and research, she takes care of your eyes like they were her own. She has been a leader in optometry serving on the Oregon Board of Optometry for 13 years and was President for 7 years. She also helps the National Board of Examiners in Optometry write the tests optometrists take prior to practicing optometry. 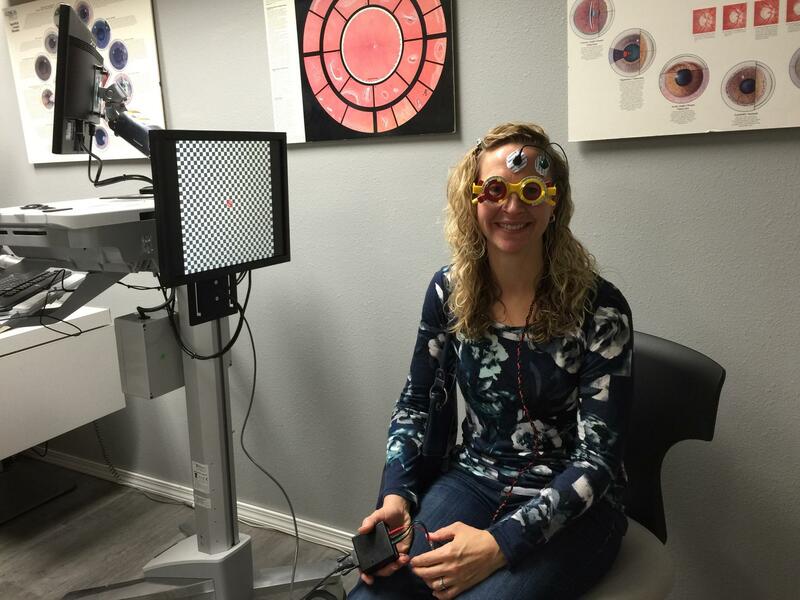 Dr. Sarah Olmschenk has been interested in eyes and optometry ever since grade school. She received her first pair of glasses in fourth grade, and has been motivated to give the gift of clear vision to others ever since. Dr. Olmschenk grew up on a farm in rural Minnesota and received her undergraduate degree from Minnesota State University Moorhead. She then traveled to Pacific University College of Optometry to obtain her doctorate degree in optometry, graduating with distinction in 2006. Dr. Olmschenk has completed a series of clinical internships in numerous facets of optometry, including family practice, vision therapy, and ocular disease. She particularly enjoys examining infants and young children; early eye exams are key to preventing serious problems later. Dr. Olmschenk has a young daughter and son of her own, and loves every minute spent watching them grow up. Sam is our Office Manager and is your go-to guy for insurance and billing challenges. With many years of experience in the eye care field he is also a skilled optician. He can adjust your eyewear or help you become proficient with contact lenses. His other hats include being a certified Diopsys Nova electrophysiology technician. Sam attended Oregon State University but tries hard to be nice to Duck fans as well as Beavers. He enjoys fishing, sports, riding his motorcycle and his cat Batman. Linda is our assistant office manager. She joined our office in 2013 after years of experience as a major bank customer service manager. With her years of dedication, she works to make every aspect of your visit to our office enjoyable. Linda is patient and kind and the perfect person to help you get the most from your insurance as well as helps you understand your responsibilities. When not helping people, Linda enjoys keeping up with her two young children outside of the office. Olga is our lead optometric technician. She joined our office in 2011 with many years of customer service experience with a major bank. She is skilled with all our high-tech equipment and has the perfect personality to help patients feel at ease. She received special training to obtain both paraoptometric and paraoptometric assistant certifications. A graduate of Diopsys University, she is our lead electrophysiology tech performing ERG and VEP Vision Testing. She also provides translation services for our Spanish-speaking eye care patients. In her free time, Olga enjoys being mom to her young son and spending time with family. Maritza is one of our skilled technician’s. She joined our eye care team in 2016; genuinely enjoys people and will take the time to accommodate your needs and make you feel comfortable during your visit. Being passionate about helping others is what makes her an ideal team member. She is fluent in Spanish and gladly provides translation services. Maritza graduated from Eastern New Mexico University with a BS in Criminal Justice. When she is not in the office she loves spending time outdoors or with her family. Peggy is our longest standing employee. Starting in 1979 she has served in many different roles. Her primary responsibilities are payroll, accounts payable, banking, post office and dealing will taxes. She also alters scrubs, provides financial and other counseling services to staff and is mom to Dr Miller. In her free time she teaches three knitting classes, knits helmet liners for our troops and is active at the Old Scotch Church. Peggy Jean is our trusted behind the scenes assistant. She uploaded three decades of paper charts and made them easy to access electronically. She continues to upload records and invoices to make us efficient. She is a master quilter, avid reader and enjoys travel. "Thank you Dr. Sarah and her staff are great. Very pleasant and professional everybody. They have a very cutting edge equipment to see your eyes from every angle. Even from the inside-out. Dr. Sarah was very patient and sure that I understood all she was saying to me. She gave me back hope that my eyes will be like 20 years ago. Very grateful." "Hands down this is the best customer service I've experienced in my life. On top of that, the optometrist was very knowledgeable, courteous, and thorough. Dr Sarah Olmschenk was da bomb. If you are looking for a change with your optometry, I highly recommend Baseline Vision Clinic. Everyone in the office were super and helpful as well. Their optician was just as awesome!" "The best Vision Clinic I have ever been to. Everyone is very professional. They have the most advanced equipment available today. I highly recommend Baseline Vision Clinic." "We choose Baseline Vision and Dr Miller because she cares about eye health as well as vision. She's up to date on the latest research and practices, the staff are friendly and efficient." "Dr.Joan is amazing! Met with a scratched eye a few years ago..she has taken great care of my eyes and condition I have ever since! Love her!" "Probably the most thorough and comprehensive eye care I've ever had! 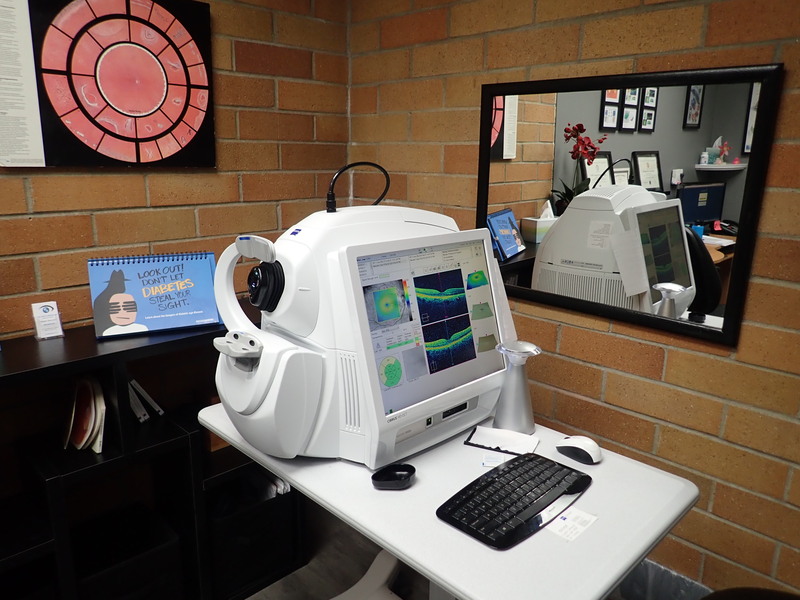 They have the latest state of the art equipment for diagnosing any eye problems and prescribing the best in eye wear."